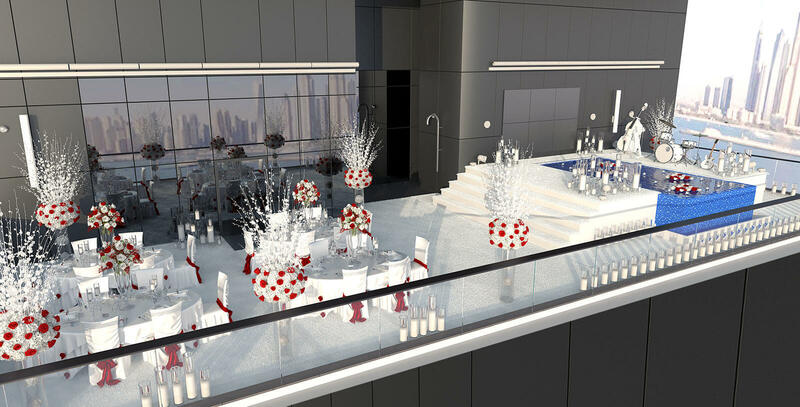 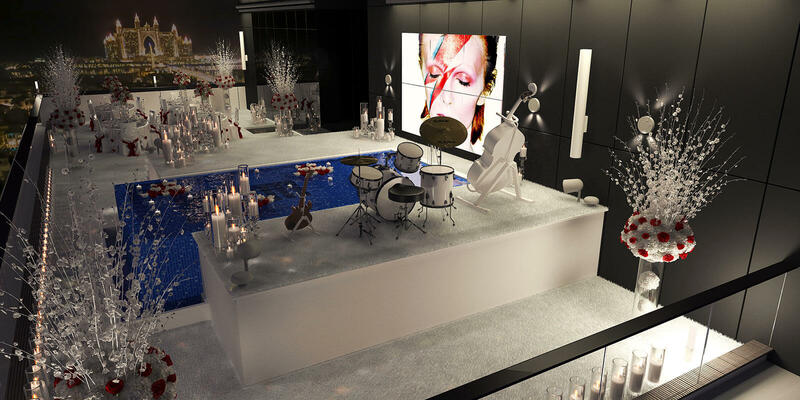 London 3D Design | 3D event design in penthouse terrace in Dubai. 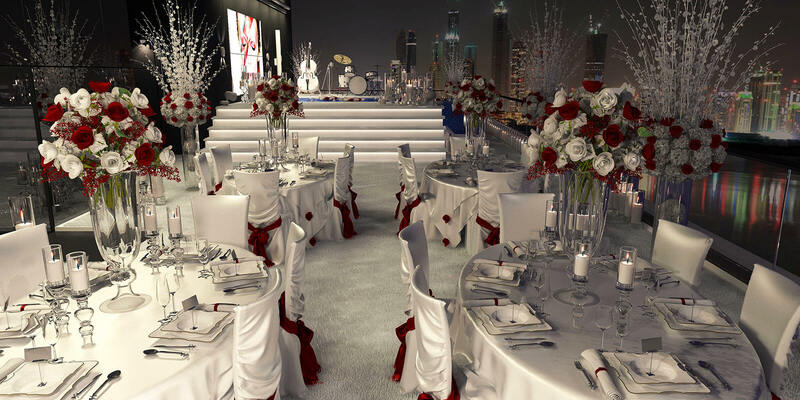 This penthouse in Dubai is designed with top specifications. 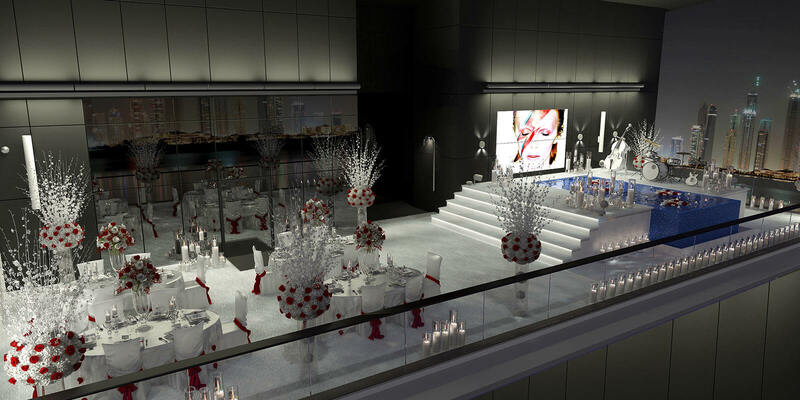 Outside terrace is used for different events. 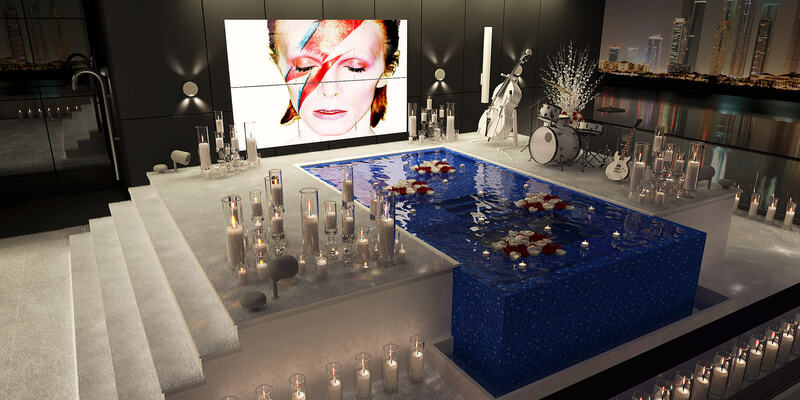 My job this time to recreate outside 3D terrace space based just on the photos and some plans. 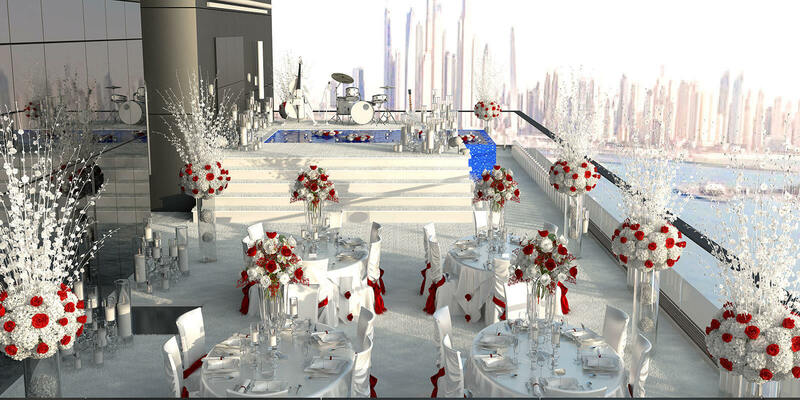 The idea this time was to make 3D design for a big event in white colours.